I was instrumental in organizing Google Summer Of Code 2011 and am currently organizing Google Code-in 2011. With this effort, we have seen a lot of interesting projects coming up and a whole bunch of new contributors to our community. Examples are SaX3, Oyranus by Sebastian Olivia which have landed into the openSUSE Distribution itself and some projects like Appstream have continued. I have written SaX3 which according to me was a major requirement by openSUSE users. I am also involved with the Marketing team, where I have helped it in distribution releases starting from 11.3. Along with Bernhard and Jos, I took the lead from the marketing team to have a public release of openQA. Along with this, I help the team with the various news articles, social media attempts and giving talks at various places in and around my college about the project. I was also part of the ambassador welcome team for an year. I am very proud to say that openSUSE users around my place have also started contributing to in various ways besides just using it. I still remember my first contributions to the project was to the wiki transition of the wiki when the new wiki came up and did quite some work by transferring a lot of SDBs. I transferred the whole of marketing portal and created the ambassador portal on the wiki. The need of a foundation is of utmost importance as we are moving forward. Since last February, there has been absolutely no discussion on how to move on the foundation. So while a foundation consists of a lot of legal stuff and by-laws, it will also be a fundamental representation of our community. Thus, in my opinion there are two requirements we need to satisfy for a foundation to truly take place. Convince our sponsor SUSE ( which at the moment seems interested ) or we as a community do it ourselves. We are already doing the above and I am just reemphasizing the needs again. The Board regularly gives about what it has been doing through channels like opensuse-announce and news.opensuse.org or personal blogs. So even if we have done nothing, anyone in the community has the right to ask the board, what has been done till now? The other aspect of communication is our usual mediums of communication like IRC, mailing lists etc. I believe its more of a psychological thing but a few people have the feeling we have too much bike shedding or non-sense going on in theses channels. We need to identify a plausible means to get rid of this mentality. This is a lesson from the past. Until now, the board had very little role in maintaining the finances that was offered to us by our sponsors. I would like the board to have a very prominent role in maintaining those records. This is very important for us as our sponsors would like to know where their money is being spent. One of the major reasons that the creation of foundation is hindered in the past we did not maintain where we were spending our money. Alan Clark is working on it but from now on, we must learn from our mistakes and not repeat it again. This has been love of mine and I should not even call this an issue just a proposal imo. In my honest opinion, programs like this have reaped great benefits to the community. We have gotten lots of our work done and also gained a lot of new contributors. I would like to see this as a board role take a role in participation of such programs in the future. If selected, I would like to see the board turn into a very much more functional body than any of its previous terms. We are all improving and the current board should certainly be a better evolution of its predecessors who have done an excellent job till now. We need to improve upon what we have done, in the last term of the openSUSE Board we saw our strategy proposal coming up. In this term, I would like to see the board taking an active role in the formation of a foundation. Foundation means a lot of work and we need to start again keeping in mind our previous discussions on what is required by us. A prominent role in the setting up of the foundation will be a big and yet the very apt task for the board. Besides that there are a lot of things like keeping in mind the humane aspect in the community. We should try to have a comfort zone for everyone. While everyone cannot be satisfied with every single thing he or she wishes as that would be lead to a chaotic situation but understanding people, their personal and cultural differences will lead to a successful community. The human aspect of the project needs to be brought out. For me, expediting the process of forming a foundation will be of the top most priority to the board. Discussing and reviewing what has already been done. Discussions like Objective, what will be the purpose of the foundation when it is a legal entity, discussing financials( Alan Clark is already doing it), the future role of the board with the foundation, trademark policies are a few points that needs to be discussed and worked upon. These are not small things, but we should start in a direction (again) with a determined focus so that we can see a foundation on its way. Secondly I would like to see is that the board is more approachable not to say that the current is not but the actions of the board are not presented to the community at large. The board is in my opinion is an accountable body to the community. It needs to deliver and also regularly communicate on what it has been doing till date. I had like to see we inform everyone at least quarterly about the board's activities. To put it flatly, since we have been elected we are liable to answer. Thirdly, continue with the existing board duties like protecting our trademarks is also a priority for the board. Besides a successful Foundation, I envisage our community growing, learning and having a lot of fun together. I would love to see we have more successful projects like our distro, OBS, openQA etc as they are direct reflections of the success our community and the hardwork done by a lot of brilliant minds. We are all about collaboration, moving together and promoting free software in every little way we can. I have known Manu Gupta for 2 years as we both were part of LUG Manipal. At that time, I was using Ubuntu, but he got me into trying openSUSE, and helped me adapt and also helped me whenever I got stuck. He helped me in choosing a project for Google Summer of Code, and was always supportive. He has always guided and pushed me into contributing to openSUSE. His knowledge about openSUSE, Linux, and Programming in general is immense. SaX3, which he developed as a GSoC project highlights this fact. He always had a solution to all the problems that users of openSUSE in Manipal have faced. 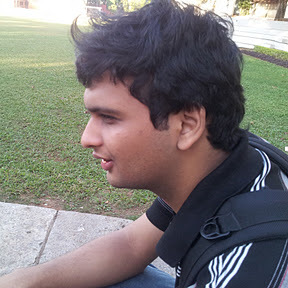 He conducted various openSUSE related events in Manipal, and they were great successes. Because of his efforts, there are many users who use and contribute to openSUSE.